A narrative that spans 16 years and four cities, Varun takes a trip down the memory lane and opens up his world to you, describing the intricacies of shouldering the burden of expectations his family has on him and yet coming up triumphant, the importance of having a friend’s shoulder to cry on when you are down and out and the perks of being a soldier’s son. Born in a small town near Warangal in Andhra Pradesh, Sandeep Kothapalli spent most of his growing years in Air Force bases at Bangalore, New Delhi, Chennai & Pune before his family eventually settled for good in Hyderabad. Son of a soldier who served in the Indian Air Force for 20 years before calling it quits, he spent most of his time watching the majestic Sukhoi’s & Jaguars take off for routine sorties and sometimes indulge in breathtaking dog fights. He is an engineer from JNTU Hyderabad and an MBA from IIM Ahmedabad. An avid blogger and a budding photographer, Sandeep currently is working as a Senior Manager in one of India’s top business conglomerates. And tweets with the handle @taureansandy. Varun : Emotional fool… believer in love… confused at times with childlike innocence. Rekha, Satish : Friends – That sums up all! Sasha : Teaches that life is not about how long you live, but how you live! The cover page is too simple with the long title written in big-bold font. On the other hand, the title, Once smitten, twice shy, thrice lucky (OSTSTL), is too long like a Bollywood movie title. But, once you complete the book, you realize that it is perfect! The book blurb is elaborate and tells you beforehand why the book is so bulky; sixteen years is too long to curtain in a less bulky book! 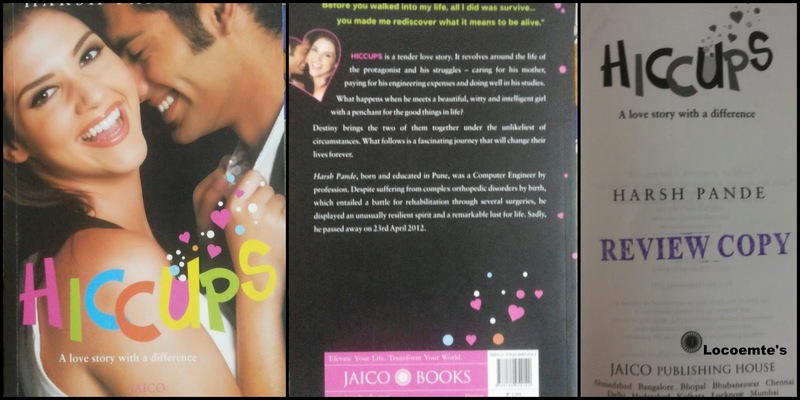 The book is divided into three parts each pondering into different stages of the protagonist, Varun’s life. The narrative is simple and lucid. There are several characters and the author has nicely established each one of them in such a way that they leave an impression in our minds. I enjoyed the manner in which the relationship between Varun and his younger sister Meera is portrayed. There is an ample dose of friendliness throughout and a touch of brotherhood towards the end. I also liked the different kinds of love that bloom during different phases of life. First love, where you are ready to risk anything and everything. A cynical love which happens soon after the first love and finally, the real love which surpasses ego and past! What makes this book special is the optimism and positivity it carries. It also sends out a strong message – Love is a perennial feeling; it never ends. Love might break your heart, but only love can give you happiness. There are no villains but circumstances which turns out to be villainous. OSTSTL is a feel-good book. It caresses your heart and gives a reason to fall in love again! The book is huge with about 340 pages. Many times, it also becomes redundant. I wish it was shorter! It’s an easy breezy read. It will certainly entertain you like a movie which has happy ending!